Utah – Industry Thrives Here. Nevada – Escape to Incredible Nevada. Utah is ranked #37 and Nevada is ranked #51 on per capita disposable income. 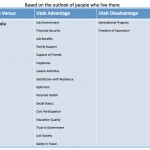 Utah is ranked #2 and Nevada #45 as a state for business. 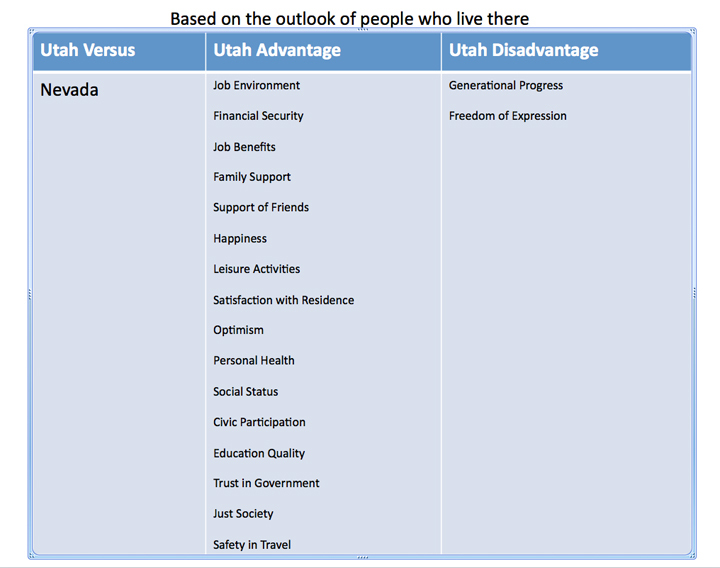 People living in Utah are reported to be more civically engaged volunteering at a much higher rate (40.9%) than people living in Nevada (22.2%). Utah (#5) is ranked as a safer state to live than Nevada (#48). Unemployment is slightly lower in Utah (5.2%) than Nevada (10.2%).